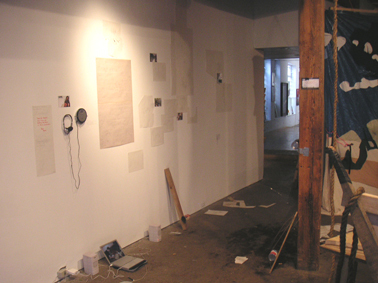 The music which had been recorded the previous day by Dan Lundberg and Hampus Pettersson (Elsewhere Right Now) could be heard in the gallery space through speakers attached to a laptop computer placed on the floor by the western wall. 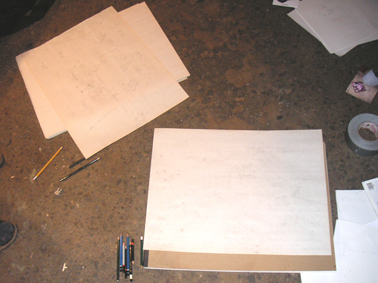 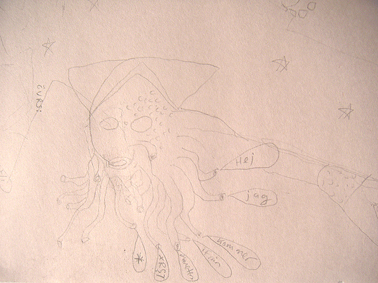 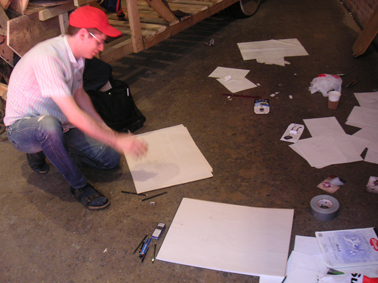 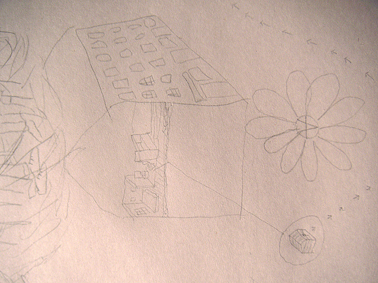 Two collaborative drawings were made in the gallery by Stefan Johansson and Hampus Pettersson (using a strategy where they would switch sheets every five minutes). 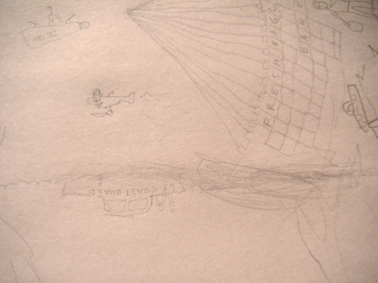 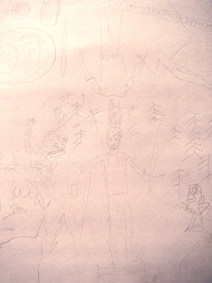 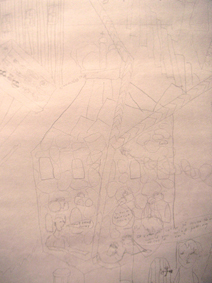 The drawings on the western wall of some figures and buildings in a forest-like landscape with the band Sonic Youth performing in the skies above them, of two figures sleeping together, and of Jens Lekman and his band performing the song "You are the Light" were removed. 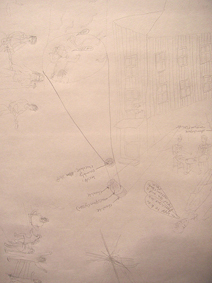 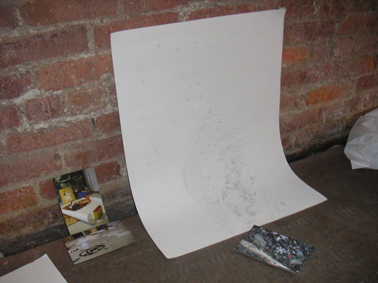 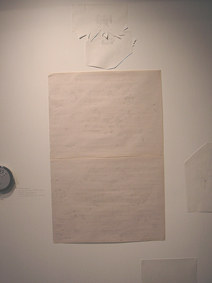 In their place, underneath the two drawings of a rehearsal space (with a band performing the songs "Riot at McDonalds" and "State of the Union"), the collaborative drawings were hung. 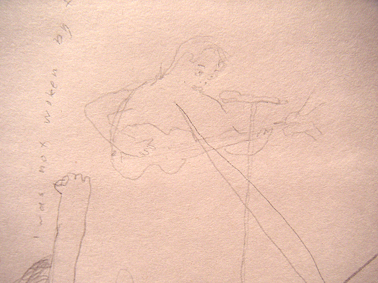 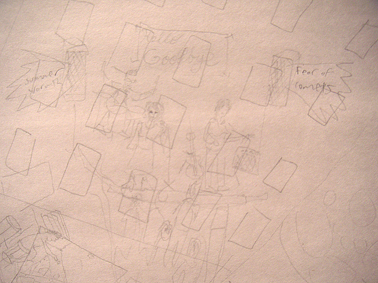 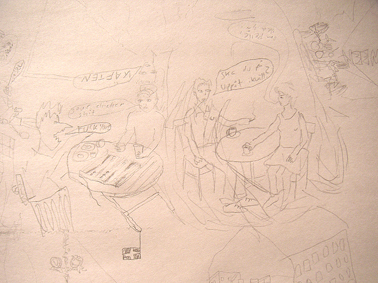 The cut-out drawing of Jens Lekman's band was placed on the cluster of drawings of some people in a bar and a figure playing instruments in an apartment. 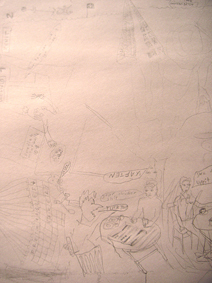 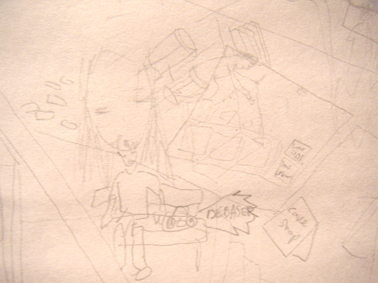 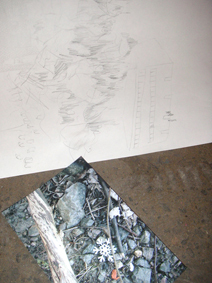 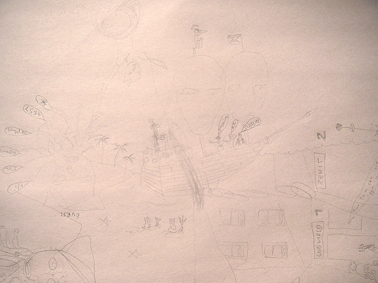 The drawing of some figures and buildings in a forest-like landscape with the band Sonic Youth performing in the skies above them was placed between the wall and the floor on the outer eastern wall underneath the cluster consisting of drawings of figures and subway/tram-lines and the photograph of the signpost.